The congregation that worshipped in this nineteenth century stone church had long felt that the support spaces were inadequate. A feasibility study confirmed that essential functions could be expanded within the limitations of the downtown site. 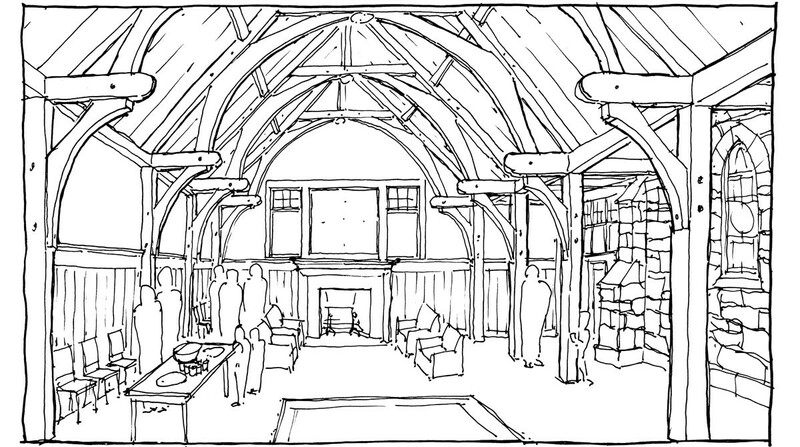 We worked as associate architect with Richard Monahon Jr. or Peterborough, NH. We were responsible for schematic designs that illustrated a wide range of programmatic complexity, and identified related budgets. 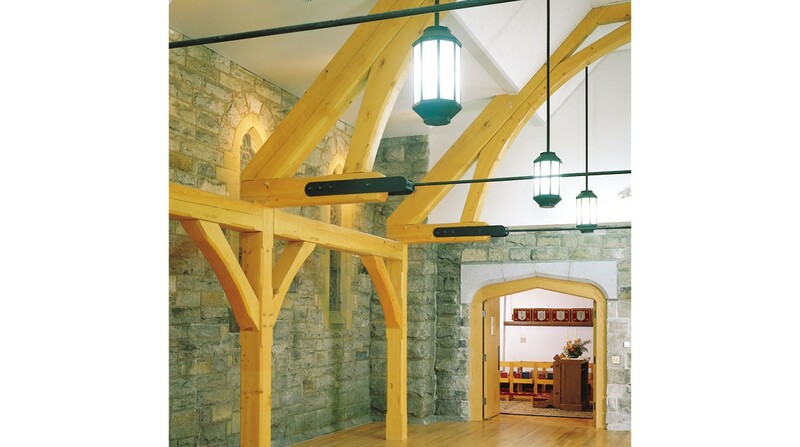 These designs were developed through workshops with the Building Committee and presented at congregational meetings to identify the preferred scheme. 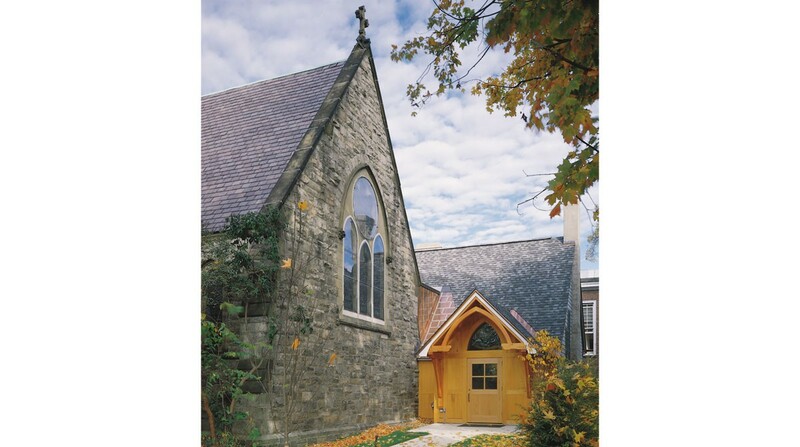 Our involvement continued with the facilitation of the permitting process, and assisting with the development of the design to reflect the functional and aesthetic desires of the staff and congregation. 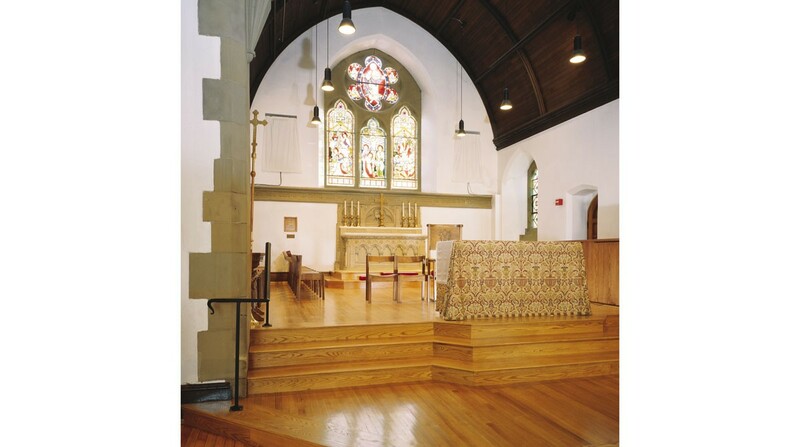 Renovations to the sanctuary included a new organ and a simplified chancel layout. 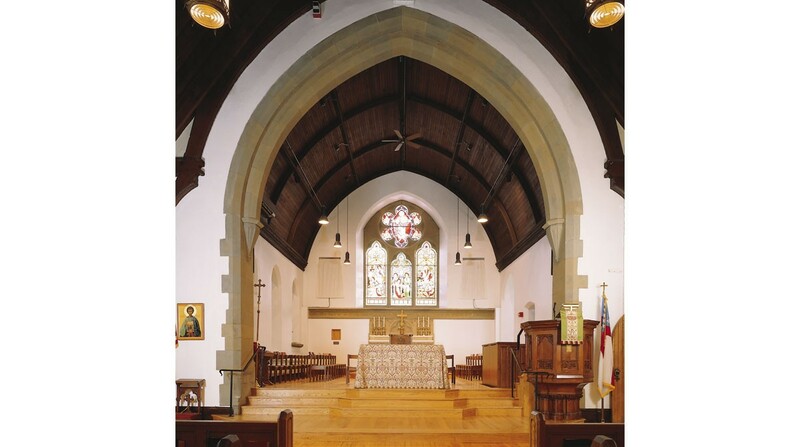 Support spaces included a new parish hall, administrative space, classrooms and a choir room that together provide a variety of spaces for the active congregation.